Obituary for Leah Evelyn (Petro) Stewart | Shore Point Funeral Home and Cremation Services, Inc.
Leah Evelyn Stewart, 73, of Holmdel, New Jersey, formerly of Maryland, passed away peacefully on Sunday, April 15, 2018. She was born Leah Evelyn Petro on June 3, 1944 in West Lanham Hills, where she was also raised. Leah married and raised her family in Rockville, Maryland, 5517 Lake Drive. In her early 40's, she moved west to San Diego, California, and lived in many cities, Las Vegas, Pittsburgh, Los Angeles, and others. 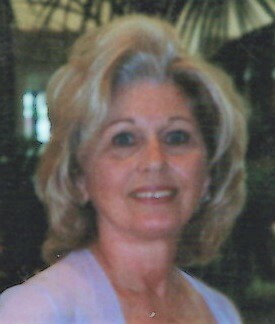 She was predeceased by her parents, Angelo and Mildred (Pierce) Petro, Leah is survived by her loving sons, Robert Stewart of Las Vegas, Nevada, and Alan Stewart and his wife, Susie, of Holmdel, New Jersey, her dear brother, Angelo "Mickie" Petro and his wife, Cheryl, of Maryland, her cherished grandchildren, Alexis, Alyssa, and Ryan Stewart, and her adoring nephew and nieces, Jerry Petro, Ann Jenkins, and Angela Roberts. Leah will be deeply missed, but never forgotten. Arrangements were entrusted to the Shore Point Funeral Home and Cremation Services, Inc., 3269 State Highway/Route 35 North, Hazlet, New Jersey 07730. In respect of Leah's wishes, she will be privately cremated. For information, directions, or to send condolences to the family, please visit, www.shorepointfh.com.